I know I have been rather MIA from here in a while, and I know you all are thinking its ok, you just had a baby 7 1/2 week ago. I wish I could say that it was just the baby keeping me from this place that I have gone so often to express myself. The truth: I have had a hard time finding myself as of late. I know they tell you having a baby changes things, but I was not prepared for the amount of change. Not only has my sleeping schedule changed, but my whole world. I find myself not being able to think straight for days due to the lack of sleep and constant worry that something is wrong with the baby crying screaming in my arms. But it was not until the other night at 3am after no sleep for days when I find myself crying over my crying baby that it hit me: I have no clue how to be the new me. I have been struggling so much with how to do it all and have it altogether. How do I manage baby, how do I survive all day at home with no interaction, and how do I still feel like myself. About two weeks ago I told J I wanted to go back to work, that I just could not do this anymore. I was starved for adult interaction and brain stimulating activity. I had this grand scheme that if I could just go to work 2 days a week I would be a better person for everyone. Amazing, God had other plans. Despite all my hoping, its just not going to work for me to return to work early part time and I cannot return full time until July when we have full time child care for Evie. As I spoke to my amazing boss on the phone, who tried so hard to make it work, I cried. Yes, I will return to work full time in July, but right now God is clearly telling me that I need to be here. I need to learn to cope and not be in total control of everything. Let me tell you: IT IS SO HARD! As I cried again in the rocker last night I also realized my want to return to work was more out of fear than anything else. I fear that I will lose my mind here all day. I fear I will never feel the total enamored love that I am supposed to feel for my child. See, work is something I know. Its a routine, and is a part of my normal. Being a mother is the antithesis of work. Its hard, but running from it won't do me any good. I have had a few people ask me if I am suffering from more than the normal baby blues, and perhaps I am, but I have realized its ok. Motherhood, especially in the beginning is not easy. All the facebook posts from new moms with their perfectly outfitted kids (bow included) are wonderful, but its not always like that. My child rarely sports a bow, often stays in her pj's all day long, and yes there are times I have to just walk away and feel like I will never have that "bond" people talk about and overly hashtag these days. 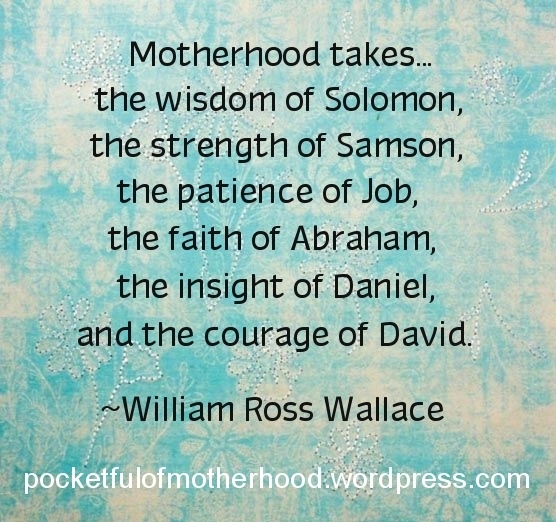 For me, motherhood thus far has been one constant roller coaster of emotion, fear and doubt. But through all this, I see Him working to change my heart and strip me down and rebuild me anew. As for now, I am getting there.